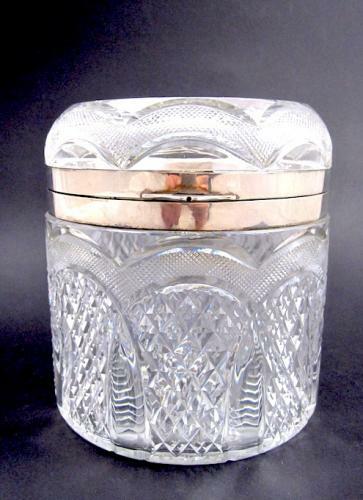 Antique Oval Highly Cut Crystal Casket Decorated With Geometrical Patterns on the Body and Lid. Very Detailed Quality of the Engraving. The Mounts are Marked Silver.